Disneyland had to evacuate riders from the Storybook Land Canal Boats attraction Monday morning when water flowed into one of the boats. About 10 children and adults on the Fantasyland kiddie attraction were transferred from one boat to another and transported to safety at approximately 11:30 a.m. Monday. A Disneyland ride operator travels on each boat with the passengers. Nobody was injured and riders were in good spirits after the incident, Disneyland officials said. Disneyland provided dry clothes and shoes to riders who got wet on the ride. 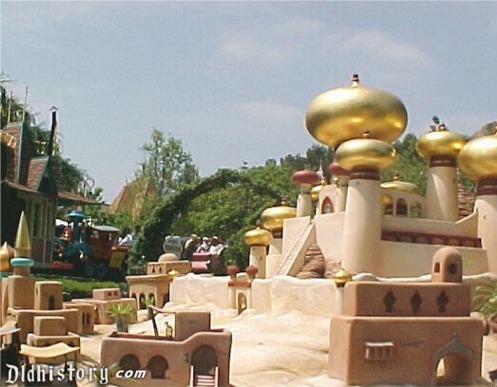 The Storybook Land Canal Boats attraction was temporarily closed while the attraction was inspected and maintenance crews determined how the water got into the boat from the canal, which is approximately 2 to 3 feet deep. The ride remained closed late Monday afternoon. The classic Disneyland attraction takes riders on a cruise into the mouth of Monstro the Whale and through miniature tableaus of Disney fairy tale stories, including "Frozen," "Aladdin" and "Peter Pan."